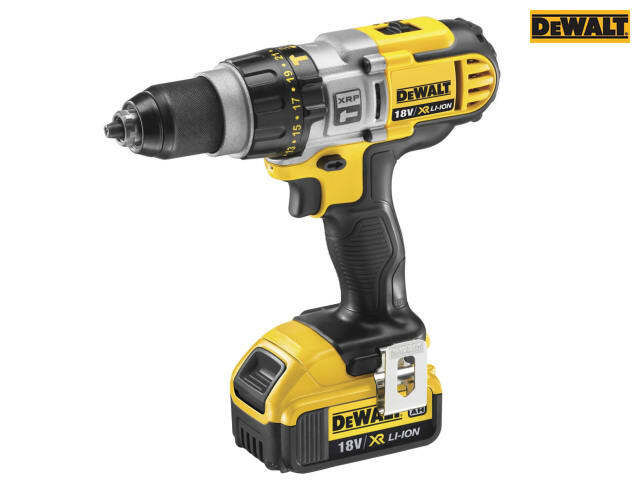 The DEWALT DCD985 XR Premium Combi Drill Driver has a tough three speed, all metal transmission for increased run time and a longer tool life. A 22-position, adjustable torque control enables optimised precision when screwdriving into a variety of materials. An intelligent trigger design allows for total control of application, whilst a bright white LED with delay feature improves visibility and provides flashlight functionality. 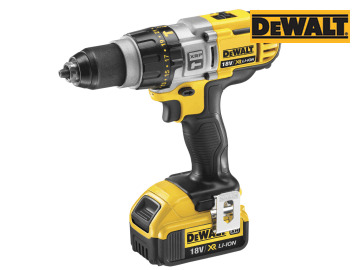 The drill's 13mm ratcheting keyless chuck with automatic spindle lock ensures a quick and easy bit change. 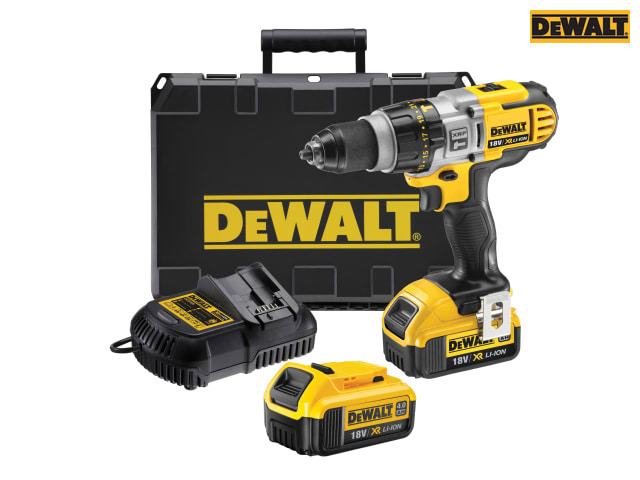 Supplied with: 2 x 18 Volt 4.0Ah Li-Ion Batteries, 1 x Multi-Position Side Handle, 1 x Multi-Voltage Charger, 1 x Heavy-Duty Kit Box. 1 x DCD985M2 XRP Premium Combi Drill Kit box 18 Volt. 1 x Heavy-Duty Kit Box.